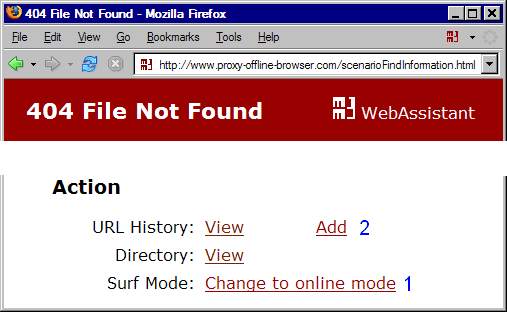 The WebAssistant switch to the surf mode Online and the missing page is immediately downloaded. Though only, if your system does an Internet connection automatically. Otherwise you go to an Internet connection at first. The URL is then collected at first to archive this page in the online mode later. 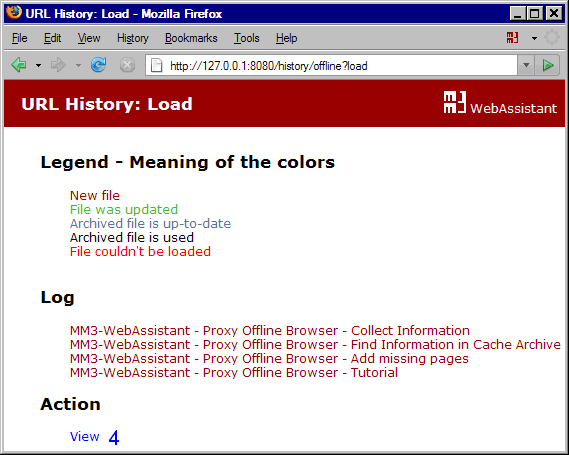 At the download of the pages a log is displayed. After this you can disconnect the internet connection. With the action View 4 the URL List is displayed in a report. You can invoke all pages from this listing. The name of this report is a time stamp. You can rename the name in the file system.